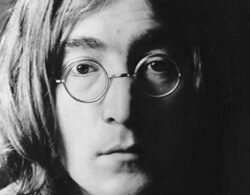 The man that murdered John Lennon outside of the Dakota apartment building in Manhattan 33 years ago will remain inside a New York prison. A Parole board ruled Thursday (8/23) that Mark David Chapman is still unfit for release. The ruling said that releasing Chapman would be '...incompatible with the welfare of the community'. Lennon's murderer is currently incarcerated at the Wende Correctional Facility in Alden, New York where he is serving a sentence of 20 years to life for the December, 1980 murder of Lennon as the former Beatle returned home from a recording studio.